This should help answer your most pressing questions if you are either contemplating divorce or are currently going through a divorce and you have children with your spouse. In most divorces that involve children, we get asked most of these same questions each and every time. Why do I have to pay Child Support when I share physical custody with my spouse? In many cases, even when parents share physical custody fairly equally, one parent will end up paying at least some child support. First off, for your arrangement to be considered shared physical custody, the court likes to see a time split that amounts to a near-equal number of hours shared by the parents, outside school hours. For instance, if your child is with you from Friday after school until Monday when you drop him off at school, and is then with your spouse from after school on Monday until Friday morning school time, that would be considered equal time even though your child is with you for only two full days. This is because, since there is no school on the weekend, you have spent pretty much the same number of the child’s awake hours with the child, as did the parent who had the child from Monday after school through Friday morning before school. In Nevada, child support is calculated according to a specific formula which you’ll find on our Divorce with Children page. Do I have to buy health insurance for my child(ren) even though they don’t have coverage now? Nevada expects one parent to be responsible for health care cost of the child(ren), usually in the form of a health insurance policy. If neither parent can cover this cost, an explanation must be given in the divorce pleadings. Both parents are expected to share, fifty/fifty, medical costs not covered by the insurance. If Mother incurred the medical expense for the child, she must present Father with the invoice within 30 days of incurring it. Father must then reimburse Mother his fifty percent share of that expense. Can I include college expenses into the decree of divorce? Nevada has no rules or laws about this, so it’s discretionary. The parties can agree to include it in the decree of divorce, but the judge has no jurisdiction over it, therefore cannot force a parent to pay for the college education of a child. Can I ask for money for extra-curricular activities for the child(ren)? Can I move out of the State of Nevada with my children? Leaving the state permanently or temporarily without your spouse and taking your children with you while you are married is perfectly legal. Once you file a divorce, however, the rules change. You will need your spouse’s written consent and if your spouse won’t give permission, you will need to obtain a court order from the judge assigned to your divorce case. If the child(ren)’s habitual residence has been Nevada for at least six months and you move outside the State of Nevada with your child(ren) and your spouse subsequently files a Complaint for Divorce asking for physical custody, a Nevada judge might well order the children back to Nevada. The judge would look at your reason for moving; if moving closer to family or work was not the reason, and it appears that the move was simply malicious towards your spouse, it’s highly likely that you’d have to return the child(ren) to Nevada. The jurisdiction of children under the Uniform Child Custody Jurisdiction Act is the state where the children have lived for the majority of the 6 months immediately preceding divorce filings. As always, this is general information; you should always consult an attorney before taking action. Have You Made Out Your Divorce Checklist? How are Community Property and Debts Divided in a Divorce? Should you file a legal separation? Should you take the parenting class when you divorce in Nevada? Should you move out of the marital home? Can I leave the State of Nevada with my children? 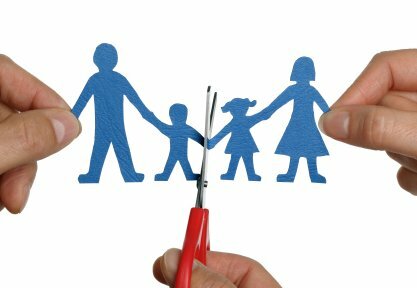 Nevada Divorce Attorney on Can I leave the State of Nevada with my children? Chrissy on Can I leave the State of Nevada with my children?